The dish of french fries covered with gravy and curds joins such other new words as selfie, hot spot and steampunk. 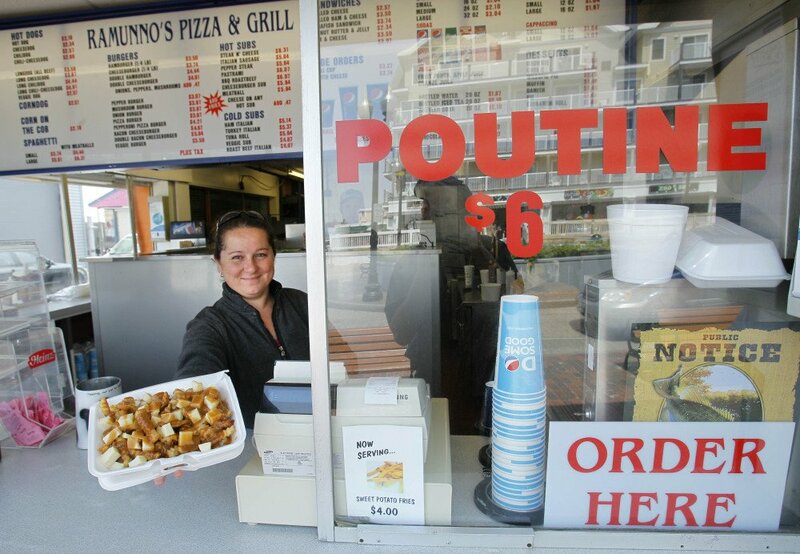 NEW YORK – Poutine, a French-Canadian snack of french fries covered with brown gravy and cheese curds, has made it into the pages of Merriam-Webster’s Collegiate Dictionary and the company’s free online database. The delicacy, served in many places in Maine, was among about 150 new words announced Monday by the Springfield, Massachusetts, company. Da “Yoopers” up dere in da U.P., Michigan’s Upper Peninsula, also hit it big with inclusion of their nickname in the dictionary. The moniker refers to native or longtime residents of the Lake Superior region known for a distinctive manner of speaking and their Scandinavian roots. The update of the Collegiate’s 11th edition has pleased Yooper Steve Parks, the prosecutor in Delta County, Michigan, who pushed for more than a decade to have the word recognized by Merriam-Webster. Supporters splashed their joy online when news of the higher profile spread in March. But really? Is Yooper as recognizable as, say, the Yankees of New England? Peter Sokolowski, a lexicographer and editor at large for Merriam-Webster, insists it has crossed from regional to more general usage. “Plus, it’s just a really colorful word,” he said. Many of the other new words and terms stem from digital life and social media – spoiler alert, hashtag, selfie and tweep – while others are food-driven, including pho and turducken, a boneless chicken stuffed into a boneless duck stuffed into a boneless turkey. Climate change and the environment did not go unnoticed, with the addition of cap-and-trade, a system that limits the amount of carbon emissions companies can produce but allows them to buy extra emissions from others. Fracking also made it into the update, which has already shipped to retailers. So did e-waste and freegan, one who scavenges for free food in store and restaurant trash bins as a way to reduce consumption of resources. Merriam-Webster relies on a network of observers who track down word usage in everything from newspapers to soup can labels. Three or four senior editors make the final cut. As for social media, well, that term was already in the dictionary, but social networking wasn’t. Adding the latter was “just taking care of business,” Sokolowski said. So how does he feel about Oxford Dictionaries making selfie a star last year, when the British company named it word of the year? Did Merriam-Webster wait too long to jump on the selfie bandwagon? Selfies have spawned shelfies, which are photos people post to show off their books and how they have arranged them. 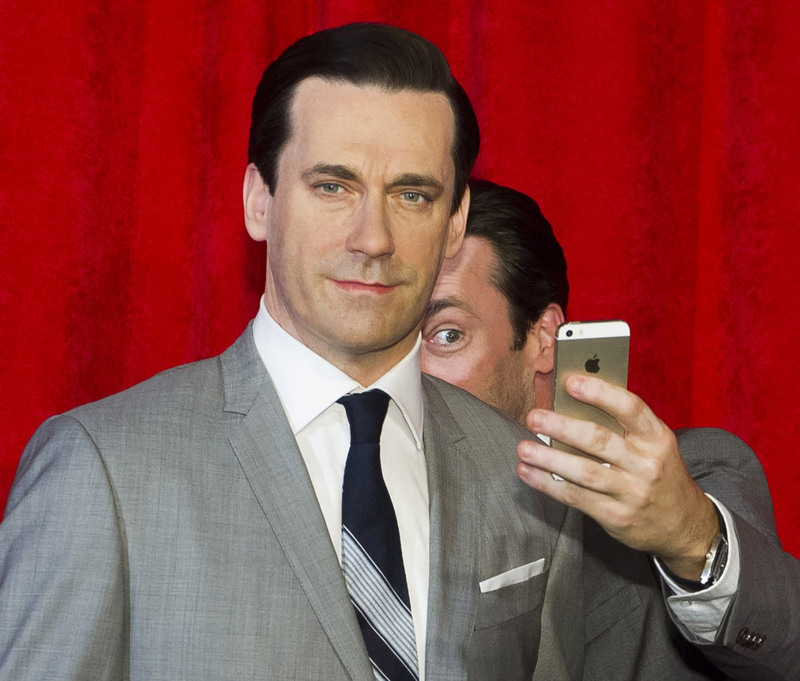 And we now also have stealthies, those sneaky little phone pictures masquerading as selfies when the taker actually snaps what’s behind him or her instead. • Unfriend, which joins defriend. • Hot spot, a place where Wi-Fi is available.